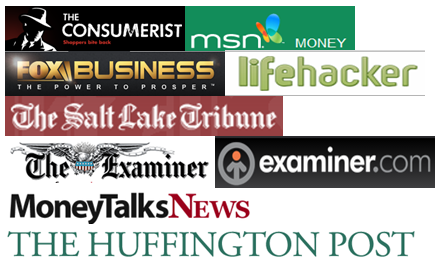 There’s been a lot in the media lately about debt addiction. It’s a problem not only in America but in other parts of the world, too. Despite knowing the dangers of overspending, sometimes people can’t seem to stop creating new debt. It’s not hard to see that many of us have too much debt – and we know it. In the wake of the Great Recession, many of us have taken steps to curb our spending and reduce our debt. But those steps are harder to take for some people. Despite knowing the dangers of overspending, they just can’t seem to stop creating new debt. So how do you know if you have a debt addiction, or are just a little less than great at managing money? We all have our moments of overspending. Occasionally, nearly everyone zones out and forgets to pay a bill on time. Debt addiction goes beyond the infrequent financial faux pas. People who are addicted to debt rely on credit abuse as a crutch to deal with their money problems and to make themselves feel good. Poor understanding of your finances – You don’t have a budget or long-term financial plan. Ignorance of account balances and monthly expenses – Do you leave bank statements unopened? Frequently borrowing items and not returning them – You borrow and keep small items like books or pens, or small sums of money. No savings and no retirement plan – You don’t plan for non-recurring but predictable expenses, such as your taxes or your retirement. Compulsive shopping – You make impulsive purchases, don’t use things you’ve bought, or leave price tags on clothes so they can be returned later. Inability to pay your bills – You run out of money every month. Constant chaos and drama around money – You’re always on the edge financially, bouncing checks or using one credit card to pay off another. Living paycheck to paycheck – You never have money left over for important things like health or car insurance. It’s safe to say no one really feels good about having a lot of debt. On top of the financial impact of high payments, which drain your resources, being deeply in debt can weigh you down mentally. When you’re in that situation, it’s normal to want to find a way out – the easier and faster, the better. You may have heard the term “debt settlement” and wondered if it could be the solution to your problems. Debt settlement is a major financial move and it will definitely impact your credit score. You need to ask yourself if debt settlement’s impact on your life and your credit score will be less harmful than continuing to struggle with unmanageable debt. Only you can answer that question, but before you do, make sure you know some important debt settlement facts. Debt consolidation is when you roll multiple high-interest debts into a single loan at a lower interest rate, which saves you money in interest costs but doesn’t reduce the principle of what you owe. Debt management changes neither the principle nor the interest but establishes a plan for paying off debt. Debt settlement is when a creditor agrees to allow you to pay less than the principle you actually owe, most likely because they realize you will never be able to pay the full amount. You will still owe some money, just not as much as you originally borrowed. You’ll also pay for debt settlement in other ways – namely in the form of a lower credit score, which can make it more difficult to obtain credit in the future, or at the very least to obtain good terms on future credit. Future creditors will view your participation in debt settlement as an indicator that you may not make good financial decisions in the future – and may be less likely to repay debts. Before you sign on with a debt settlement company, investigate it thoroughly, just as you would any other company you hire. Check out government resources such as your state attorney general’s office and rating organizations like the Better Business Bureau to see if the company has any complaints against it. If you choose the route of debt settlement, you also need to learn how to better manage credit so that you don’t end up back in the same situation in the future. If you’re not happy with your credit score, you may decide it’s time to take a look at your finances, pay down your credit card debt and work your credit. You’ll have a lot to think about as you plan your course of action. One of your toughest questions may be whether or not you should continue using credit cards while you’re working to improve your credit. Many people with poor credit also have high credit card debt. In fact, maxed-out credit cards or carrying a lot of credit card debt can significantly influence your credit score. The credit bureaus consider your ratio of credit available to credit used, total debt and types of debt when calculating your credit score. So if you’re working on your credit, you may feel that credit cards got you into your poor credit situation and that you should swear them off altogether. However, that’s not necessarily the best course of action. Wise use of credit cards can be good for your credit score. Paying your bills on time and having more credit available than you use all reflect positively on your credit report. If you can commit to setting aside bad habits – like carrying a balance or using credit cards for transient purchases like groceries or movie tickets – you might find credit cards to be a useful tool for improving your credit standing. Focus first on reducing the debt you already have and promise yourself that you won’t create any new debt while you’re working on regaining control of your finances. Cultivate new, better habits for credit card use. Pull out the plastic only for purchases that you know you’ll be able to pay off right away. If you’ll have to carry a balance in order to buy something, don’t buy it. Instead, save for the purchase. It’s better to wait a few months to buy something than to increase your debt and pay the interest associated with your credit card rate. If you’re having trouble getting someone to give you a traditional credit card, consider getting a secured card. 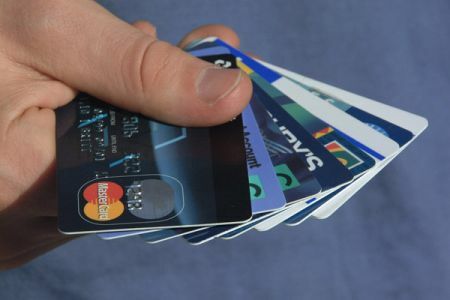 A secured card requires you to put up a certain amount of money in order to use the card, helping ensure you don’t go over your limit, and that the debt is essentially pre-paid. It will look the same on your credit report as a traditional card. About the author: Steven Millstein is a professional personal finance writer, credit repair specialist, and contributor to many leading financial publications. His work has been mentioned in and linked to from bustle, The Huffington Post, Benzinga, CNNMoney, Time and many other publications. He also has his own personal finance blog, Credit Zeal, where you can follow him. are you paying don your credit card debt in whole every month? If you carry a balance then it’s not only bad for your pocket but also for your score. I’ve got a small business and I have enrolled to a debt management plan. Eversince I have enrolled to it, tracking my finances and debts is now much more easier.